WASHINGTON (AP) — The Supreme Court was about to adjourn for the day when the Georgia baritone politely inquired of the lawyer at the lectern. 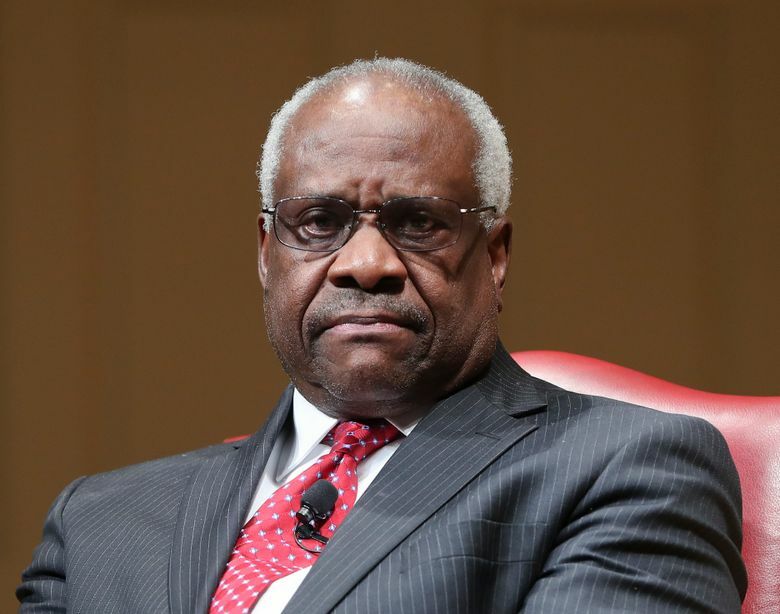 Justice Clarence Thomas, the court’s only African-American member and lone Southerner, was breaking a three-year silence at high court arguments with a couple of questions in a case about racial discrimination in the South. The case involves a black Mississippi death row inmate who’s been tried six times for murder and a white prosecutor with a history of excluding African-Americans from juries by using peremptory strikes, for which no explanation is required. Prosecutor Doug Evans excused five African-Americans from the jury in inmate Curtis Flowers’ sixth trial. “Would you be kind enough to tell me whether or not you exercised any peremptories?” Thomas asked Sheri Lynn Johnson, Flowers’ Supreme Court lawyer. In Flowers’ sixth trial, Johnson said, Flowers’ lawyer excused three white jurors. But the defense lawyer’s “motivation is not the question here. The question is the motivation of Doug Evans,” Johnson said. Even Thomas’ conservative colleagues seemed to favor Flowers in the course of the hourlong session, and the justice’s questions seemed intended to show that both sides can be conscious of race in jury selection. In a similar case from Georgia in 2016, Thomas was the only dissenter when the court ruled for a black Georgia inmate. Thomas wrote then that the Supreme Court should not second-guess a trial judge who initially considered and rejected racial discrimination claims. Before Wednesday, Thomas’ last questions were in a case about the reach of a federal law that bans people convicted of domestic violence from owning guns. Those were his first questions in 10 years. He is the only justice who does not regularly pose questions from the bench. Thomas has explained that he relies on the written briefs and thinks his colleagues interrupt lawyers too often. As in 2016, he only piped up after everyone else was done.